The Taiwanese League of Legends league. 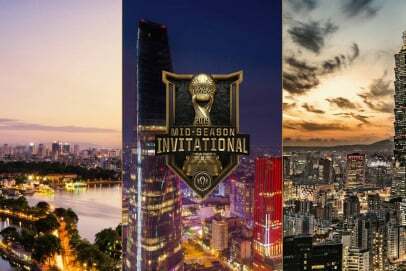 League of Legends Master Series 2019 will be held from 17 January till April in Taipei. The holding place has been chosen to be Garena E-Sports Stadium, and the organizers of the league are Garena Taiwan, besides Riot Games, of course. The group stage will be held by the double Round Robin system. All the matches will be played in the Bo3 format. The collective that will take the first place will get to the final of the playoff stage taking the first place while the teams. that will get placed I second position will pass to the semifinal. The 3-4 places will make it to the quarter-final. The collectives that will take the 5-7 place in the tournament bracket will get to LMS Summer 2019, skipping the playoff, and the participant taking the last position will get to LMS Summer Promotion 2019. At the final stage four teams will get to the Single Elimination bracket, where they will play Bo5 matches. The winner will get to Mid-Season Invitational 2019.